BEACHBAR is a crunchy, chewy, and delicious snack bar that is a good source of protein and just 150 calories — perfect for a wholesome afternoon snack. BEACHBAR comes in two flavors: Peanut Butter Chocolate and Chocolate Cherry Almond. Both are made with nut pieces, nut butters, protein crisps, and topped with a ribbon of chocolate. They are gluten-free, have 0 grams trans fats, and contain no artificial colors, flavors, or preservatives. At 150 calories per bar, you get 10 grams of protein, 4 grams of fiber, and 5 to 6 grams of sugar. BEACHBAR is the perfect on-the-go snack to keep you going until your next meal. And, since they are both delicious and nutritious, BEACHBAR snack bars are also great snacks for meetings at work, traveling, or tossing into your child’s lunch box. What Ingredients Are in BEACHBAR? People with a busy lifestyle: With increasingly on-the-go lifestyles, people are reaching for quick snacks to satisfy their hunger cravings between meals. And while we strive to make healthier choices, convenience is still paramount. By keeping a stash of BEACHBAR snack bars in your bag, or at work, you’ll always have a convenient, wholesome snack anytime, anywhere. People who want to reduce their sugar intake: Unlike other snack bars, BEACHBAR has more protein than sugar. Many bars today have too much sugar and carbohydrates. If you want a delicious snack and a good source of protein, without the extra sugar, BEACHBAR is the right choice. People who want to boost their protein and/or fiber intake: BEACHBAR delivers 10 grams of protein in a 150-calorie bar. If you’re looking to add more protein to your diet, BEACHBAR has the protein without the extra calories or sugar. It’s also an easy and delicious way to get 4 more grams of fiber into your daily diet. People on a gluten-free diet: These are gluten-free bars, but you would never guess by the chewy texture and delicious taste of BEACHBAR. If you follow a gluten-free diet, this convenient, satisfying bar could be the perfect snack you’ve been searching for. People who have a sweet tooth: Staying on track with your fitness and nutrition goals can be challenging. With chocolate chips, creamy nut butters, and hearty nut pieces, BEACHBAR is the ideal “cheat treat” to satisfy your sweet tooth, and it can help you stay on track. People who love to snack but don’t want to gain weight: Most adults snack at least two times a day, but snacking on the wrong foods can work against your health and fitness goals. Having 10 grams of protein in a 150-calorie bar, BEACHBAR gives you more protein-dense calories than the average snack bar to help you feel fuller, longer. Parents and their children: BEACHBAR is a wholesome snack not only for you but also for your child. Along with serving up Daily Sunshine to your child in the morning, you can put a BEACHBAR in their lunch box for a delicious, wholesome treat that will hopefully keep them away from the vending machines after school. People who follow a Beachbody nutrition plan: BEACHBAR is a delicious, sensible snack bar that easily fits into Beachbody nutrition plans. 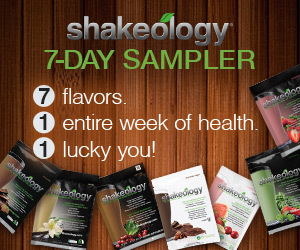 You can drink Shakeology in the morning and then eat a BEACHBAR in the afternoon to satisfy your craving for a snack without blowing your calorie count. The Portion Fix Container equivalents for one BEACHBAR are: ½ red, ½ yellow, 1 teaspoon (oils and nut butters). For U.S. residents, a 15-bar box of BEACHBAR snack bars can be delivered to your home for $39.80 ($2.65 per bar), plus s&h. If you live in Canada or the UK, the price is $48.80 CAD (plus s&h) and £39.79 (plus p+p), respectively. You may also purchase up to three boxes at a time, or sign up for a monthly subscription. Beachbar Peanut Butter Chocolate, 1 Box of 15. Beachbar Chocolate Cherry Almond 1 Box of 15. Beachbar Chocolate and Peanut Butter 2 Boxes of 15.